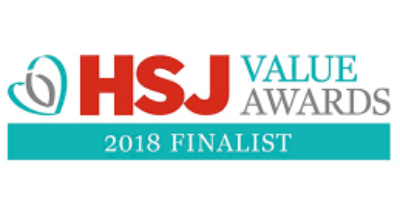 North West Utilisation Management, part of Health Innovation Manchester, has been nominated as finalists in this year’s HSJ Value Awards for their outstanding work in improving A&E performance. The team support NHS trusts to improve quality and safety so that at least 95% of patients coming to A&E are seen within four hours. The team identifies things that are obstructing patient flow and works together with hospital staff to remove these quickly and safely. The results have seen some hospitals reach 100% of their targets, resulting in patients being seen and treated more quickly and reducing waiting times. An overcrowded emergency department creates risk and potential patient harm. Within the UK, January saw the lowest ever levels of patients seen within four hours at just 77.1%. This number is well below the target that 95% patients attending A & E should be admitted, transferred or discharged within 4 hours of their arrival, as seen within the NHS Constitution. The work carried out by Utilisation Management team enables hospitals to address this issues with outstanding results and this inaugural year has seen the team work with 17 sites across the country. The Utilisation Management team, is the only clinically led analytics service, owned and operated by the NHS, which is part of the services offered by Health Innovation Manchester. Health Innovation Manchester is an academic health science system established to drive proven innovation into health and social care services at pace. It leverages the exceptional academic and clinical assets of the city region bringing together basic research, translational research, clinical demand and industry know-how and investment under a single umbrella, focused wholly on the needs of the 2.8 million citizens within Greater Manchester. The team will find out if they have been successful in their submission on 7th June in Manchester at the HSJ Value Awards.